I have had the good fortune to be a very popular wedding officiant in Los Angeles for many years. As a non-denominational wedding minister, the closest thing in Los Angeles to a justice of the peace, I have officiated weddings of all kinds all over Los Angeles County and Orange County. I have officiated civil weddings and religious weddings in many South Bay wedding locations. Some of those weddings have been at Ayres Hotel which is a surprisingly lovely Southern California wedding venue that I can recommend for your big day. Ayres Hotel Hawthorne is a luxury boutique hotel near Los Angeles Airport with a refreshing blend of old world style and contemporary California cool. It is a casually elegant hotel just minutes from Manhattan Beach and the Los Angeles Airport. The wedding planners at Ayres Hotel are known for making dreams come true. They can help you with every aspect of your planning from flowers, photography to table arrangements. The wonderful catering professionals will work with you to ensure that the right food and beverage selections will make your wedding is perfect. 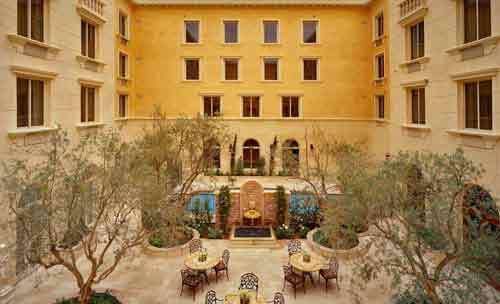 Sophisticated and luxurious, the Ayres Hotel offers grandly sweeping staircases and rich tapestries. From the rehearsal dinner and cocktail hours to your unique ceremony and festive reception, the Ayres wedding professionals will help to ensure that every element of your wedding celebration perfectly reflects your individual style. Over 11,000 square feet of event space and several distinguished banquet rooms, including an impressive grand ballroom, can accommodate celebrations of all sizes. The grand outdoor courtyard is this Los Angeles wedding officiant’s suggestion. 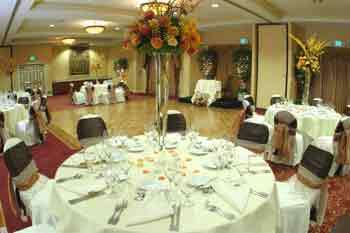 If you are looking for a unique and lovely wedding venue to get married in Los Angeles, consider the Ayres Hotel in Hawthorne. When you are looking for the right wedding officiant Los Angeles County, whether in Hawthorne or elsewhere, please consider this popular wedding officiant.